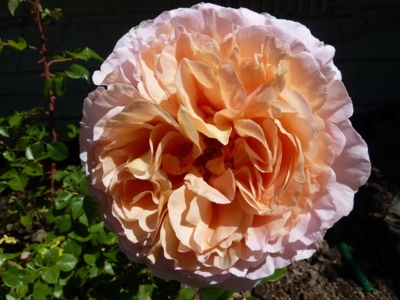 My first Abraham Darby Rose flower. It is so beautiful and the scent is heavenly. I am in love with this rose!! You should smell it.